Have it all release date March 3? Is that true? I read on facebook that Jesse's releasing the album 3/3/2012! To me it sounds very good! :-D but... you know. I don't wanna give my hopes up too early... What do you guys think? I'm not quite sure who spread this rumor.. I really like The Writer and I don't normally do this! which songs are your favorite? Re: Have it all release date March 3? I saw this on facebook too. I hope it's true!!! 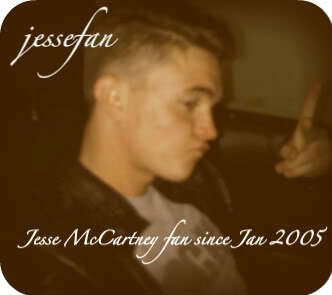 I really want to get my copy and see Jesse promoting/releasing singles/videos!!! I heard before march but it wasn't posted by jesse, it was posted by some producer so don't take anything for what it is until you hear it from Jesse <3 aight? jessecraze wrote: I heard before march but it wasn't posted by jesse, it was posted by some producer so don't take anything for what it is until you hear it from Jesse <3 aight?